A modern wealth manager dedicated to fiduciary advice and evidence based investment management. Our goal is to amplify wealth by the most logical means available. We combine modernized financial planning from CFP® professionals with scientific portfolios designed to reward investors based on factors that historically drive return. “Advice an investment design should be based on reason, not speculation.” It’s the critical idea that everything begins and ends with for WealthShape founder Tim Baker. He spent over a decade developing a new client investment experience to specifically address the major problems facing today's financial services industry. ​Throughout his career he’s held positions as an advisor, consultant, portfolio manager, and vice president for institutional money management firms with billions of dollars in assets under management. These experiences led to a new way of thinking about personal finance based on a combination of three critical elements: digital age financial planning, low cost factor-based investment management and fiduciary advice delivered by CFP® professionals. 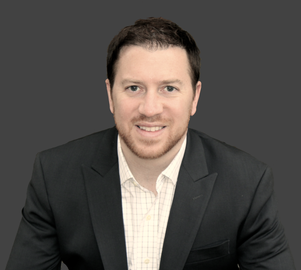 ​Tim regularly appears as a guest on SiriusXM Business Radio and frequently contributes to media outlets including Investopedia, The Wall Street Journal, Investment News, US News & World Report, Financial Advisor IQ and AdvisorHUB. He holds a MBA with a concentration in Finance, is a CERTIFIED FINANCIAL PLANNER™ professional and an active member of the National Association of Personal Financial Advisors. He guest lecturers on personal finance via electronic media and at various locations throughout the northeast U.S. including his home state of Connecticut where he resides with his wife Danielle and their daughter Ripley.